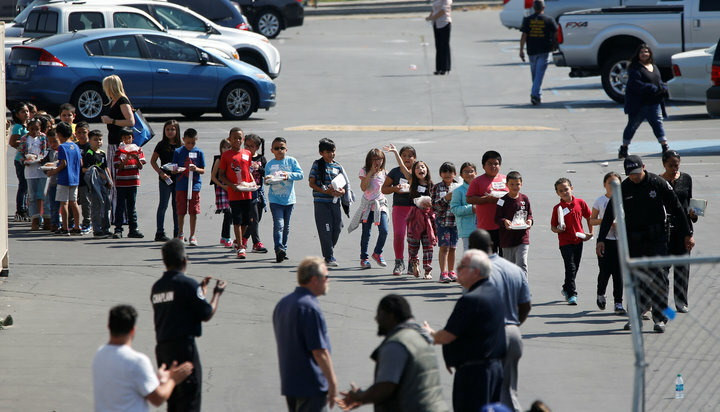 Learning from America’s school shootings and a Sowers announcement. I remember clearly when I was in school, bringing a mobile phone during my senior year was the bravest thing I could do and kids these days are bringing automatic rifles. Times are changing and the results speak for themselves. At least 130 students have died during school hours due to gun violence, states the Washington Post’s report. America is fighting hard to keep her temples of knowledge from turning into hunted places which breed fear. America clearly needs stricter gun laws. But, is that it? and how can Indian learn from the Murica’s foes? Apart from gun violence, America is ranked first in obesity, third in depression, and divorces. Gun violence in US schools started around 1999 but it has clearly increased in these past two years. First, there were divorces, then came depression, then came obesity and now gun violence. It’s a pattern, which India is not far from. With the increased amount of time youngsters spend online living a virtual life. It has become hard for them to understand the reality of life and the enjoyment of socializing, we are soon to climb up that same ladder. For instance, we rank first in depression and third in drug use and obesity. We are not far from the same fate. Internet and media, are to serve our purpose not to be our purpose. I have been a victim myself. Spending hours in front of my cell phone watching suggested videos, did once leave me exhausted, angered and depressed about life. We sure cannot leave the internet and go back to stone-age. But we sure can be more discerning in choosing how we spend our time and prioritize on family rather than internet and media. Especially parents need to understand this, you are the first teacher your child will ever have, be a wise one. NGO’s working with child health and rehabilitation states a deviation they are observing in families these days. Most of the problems arise in our homes, where parents are too busy in their jobs that there is no family time together, said Mr. Basavaraj Shali, secretary of SATHI NGO in Bangalore. Children’s increased use of screens leaves them out of social circles which in turn makes them incompetent in facing the real world and when they do, it shocks the hell out of them. India has recorded increased number of juveniles convicted of hate crimes. In some cases, the crimes are too heinous to be related to any child. Thank you for all the love and support you guys are showing to us. We have just crossed 5000+ website views. billygrahamram.com was an experiment and thank you for making it successful. In some months this website is going to re-emerge as a sowers website as the aim was always to set up sowers as a media group. We'll be needing you even more now and therefore I am inviting anyone who is interested in writing articles to write for sower on a freelance basis. Spread the word !! Call me “Human” Learning from Japan’s train discipline. The choice between the Truth and a Lie is Silence. Instead of Lying to Me, please choose Silence.